Google map address CLICK HERE. 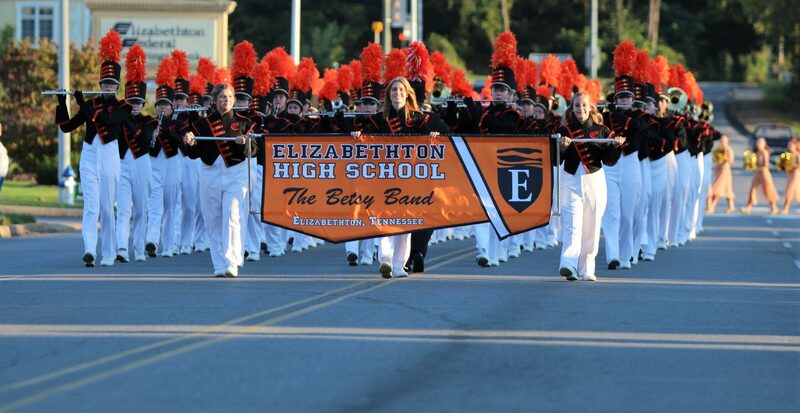 Saturday, October 13th will be our first contest of the fall marching season. We will be competing at John Battle High School in Bristol, VA. An admission fee will be charged for all those wishing to attend this event. The contest will begin at 3:30 and conclude at 7:45 that evening, with awards at 8:00. Refreshments will be available at the show. Your child will need money for one fast food type meal and any snacks they wish to purchase. The following will help you as you plan for this special day. PLEASE EAT A GOOD BREAKFAST! This will be an exciting event. The contest is divided into 5 groups, we will compete in class 5 A. Bands from VA and TN will be in attendance.